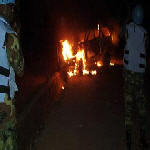 While both the security forces and protestors claiming electoral fraud shared responsibility for deadly violence in the Democratic Republic of the Congo (DRC) earlier this year, the high death toll pointed to an excessive use of lethal force by the army and police, who are now enjoying impunity, the United Nations reported today. 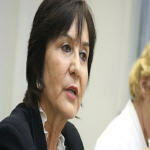 According to Prof. Yakin Erturk, Special Rapporteur of the United Nations Human Rights Council on Violence against Women "the situation in the Kivus is the worst crisis I have encountered so far." 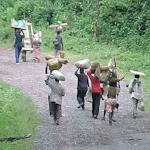 Professor Erturk denounced this situation during the conference in Kinshasa on 27 July 2007. 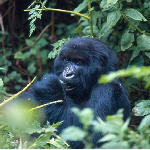 Four rare mountain gorillas have been killed after gunmen crept up on them and opened fire in the Democratic Republic of Congo's Virunga National Park. 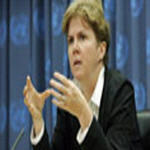 A senior United Nations official today stressed that the world body is doing its utmost to get to the bottom of recent allegations of misconduct against peacekeepers in Cote d'Ivoire and the Democratic Republic of the Congo (DRC), pledging to hold all personnel to the highest standards of behaviour. Gecamines, the Democratic Republic of Congo's troubled state-owned mining company, said it has tackled corruption issues that have plagued the company for decades and is ready to consolidate some of its assets and expand its business. But as Peta Thornycroft reports for VOA from Katanga's capital Lumbumbashi, Gecamines has said it still needs the government to stop creditors from taking it to court in the short term. 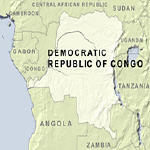 Continued insecurity and poor roads have been restricting humanitarian access to thousands of internally displaced people in eastern Democratic Republic of Congo (DRC), according to an official of the UN Office for the Coordination of Humanitarian Affairs (OCHA). 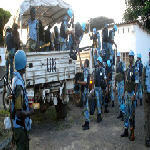 Following its investigation into alleged gold smuggling and arms trading by UN peacekeepers in the Democratic Republic of Congo, the United Nations should ensure accountability for those involved, Human Rights Watch said today. In a letter to Jean-Marie Guehenno, the under-secretary-general for UN peacekeeping operations, Human Rights Watch took issue with Guehenno's comments that the matter is now "closed.? 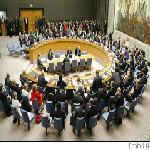 The Security Council this morning expressed its deep concern at the deteriorating security situation in the east of the Democratic Republic of the Congo, in particular in North and South Kivu, and the serious humanitarian consequences of the violent actions of foreign armed groups, especially the Forces democratiques the liberation du Rwanda (FDLR), as well as the military activities of the "mixed" brigades. 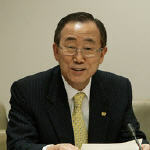 United Nations Secretary-General Ban Ki-moon today called for action to resolve the crisis in the Democratic Republic of the Congo's (DRC) volatile eastern region, where some 700,000 people have been internally displaced. 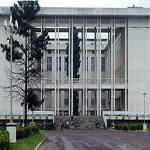 On Thursday 18 July 2007 the National Assembly closed the second extraordinary session at the "Palais de Pueple" in Kinshasa. On the agenda of its plenary session was the Special Commission's report on "the Kahemba affair"- the DRC's border dispute with Angola in Bandundu province- as well as the validation of the mandates of eighteen new deputies.